Over fifty teams played in this six a side tournament which raised funds for WDP. This was a great football tournament! Thank you to Joe from Flex, Birchwood Lions and Andrea from Live Wire. 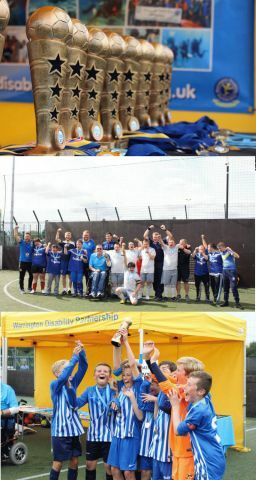 Thank you to all the teams who took part and helped raise funds for Warrington Disability Partnership.